Prosthodontics is the branch of dentistry pertaining to the restoration and maintenance of oral function, comfort, appearance, and health of the patient by the replacement of missing teeth and contiguous tissues with artificial substitutes. 1) Removable Partial Dentures that are composed of acrylic resin plates that carry a plastic replica of the tooth that has to be replaced. 2) Crowns and Bridges: Unlike removable devices such as dentures, which you can take out and clean daily, crowns and bridges are cemented onto existing teeth or implants, and can only be removed by a dentist. In older patients, who desire replacement of their entire dentition, Complete dentures can be provided for the upper and lower jaws. 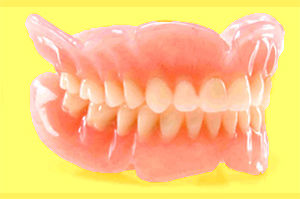 Used by the Dentist in the Delhi Orion centre “Flexible partial dentures” are the comfortable, beautiful, and affordable choices. It was long thought that removable partial dentures had to be rigid to be effective. The innovation of these allows the restoration to adapt to the constant movement and flexibility in your mouth. We have been using this modality of treatment for some time at the dental clinic in Delhi with great success as patients find it very comfortable to use. While the cost is often higher than a partial made with visible metal clasps, the results of the flexible partial dentures are beautiful and patient satisfaction is very high.